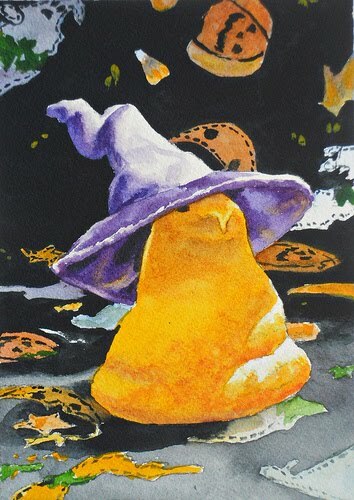 My Little Paint Box: Witch Peep? It's my favorite time of year and I've recruited some help from a little mummy to introduce my newest painting "Witch Peep?" Totally unscripted and original Eric idea for this video. I love it! Hope you enjoy it as well. Cute one, Pablo. Talented Mummy!